I have to admit, I had never had the pleasure of sampling products from La Prairie in the past. My, my are they simply divine?! Certainly luxurious from their rare ingredients and the texture is just exquisite. The Skin Caviar Concealer Foundation Sunscreen SPF 15 ($200) applied like a luxurious cream and hydrated my skin instantly. My skin took on a flawless look and felt supple and smooth to the touch. 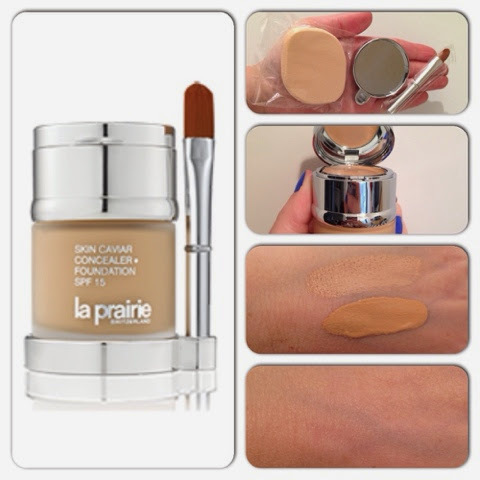 The concealer on the top portion of the product camouflages under eye darkness and is firming, too. Both formulas support this firming quality with their legendary caviar extracts and help protect skin from aging factors. Available in eleven shades, I was originally sent a color that did not suit my skintone but wanted to share this luxurious product regardless as I am so fair. 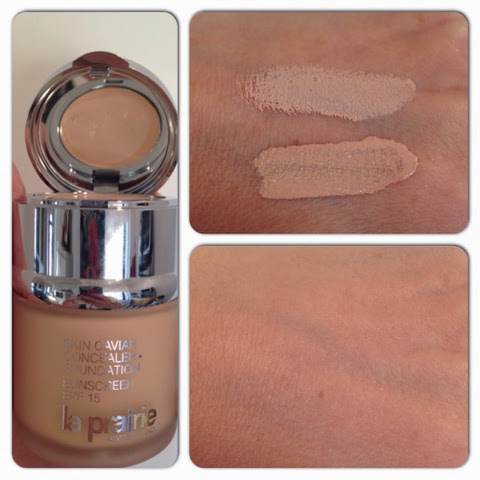 My shade is Creme Peche and it blended into my skin FLAWLESSLY. 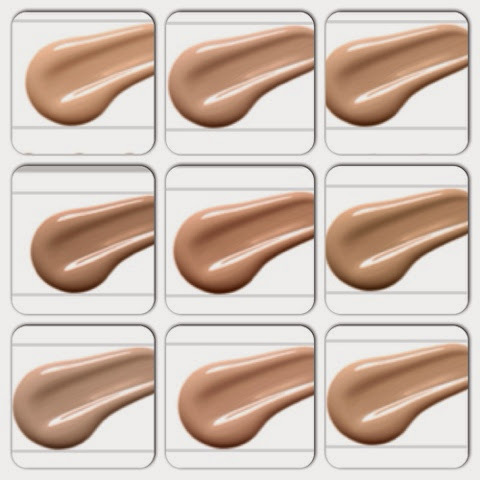 There are 11 shades available and each foundation comes with two options to apply the product. It is suggested that you shake it well before using and to smooth over an already moisturized face. Make sure to blend well over the jawline and apply with sponge or fingertips if more coverage is desired.